Christ in Celtic Christianity gives a new interpretation of the nature of Christianity in Celtic Britain and Ireland from the fifth to the tenth century. The written and visual evidence on which the authors base their argument includes images of Christ created in and for this milieu, taken from manuscripts, metalwork and sculpture and reproduced in this study. The authors challenge the received opinion that Celtic Christians were in unity with Rome in all matters except the method of Easter reckoning and the shape of the clerical tonsure. They find, on the contrary, that the strain of the Pelagian heresy which rooted itself in Britain in the early fifth century influenced the theology and practice of the Celtic monastic Churches on both sides of the Irish Sea for several hundred years, creating a theological spectrum quite distinct from that of continental establishments. Great Deeds in Ireland is the first full translation of the controversial Latin history of Ireland by the famous Dublin intellectual, Richard Stanihurst. Written after he fled Elizabethan London for the Netherlands, De Rebus in Hibernia Gestis was published in 1584 by Christopher Plantin, the greatest printer of the age. In facing Latin and English texts, Great Deeds in Ireland provides a contemporary account of Ireland’s geography and people and what the author considered to be the greatest event in Irish history – the Anglo-Norman conquest. Relying on the work of Giraldus Cambrensis, Stanihurst celebrated the origins of the English colony in Ireland whilst simultaneously allegorizing the dilemma facing his own community from a new wave of Protestant English conquerors. The Anglo-Irishman’s attempt to introduce Ireland to Europe’s Renaissance elite in a literary tour-de-force went awry after many Gaelic Irish, also exiled on the continent, objected to the book’s satirical portrayal of Ireland’s clergy and its representation of the country’s customs, history and learned classes. The book was burned on the orders of the Inquisition in Portugal, marked prohibido in libraries in Spain and provoked a number of angry responses from readers and other writers over the following eighty years. Because of its centrality to debates about Ireland, Stanihurst’s De Rebus was the first book translation undertaken by the Centre for Neo-Latin Studies established at University College Cork for the study of this hitherto neglected corpus of Irish literature. A thematic survey of the impact of crusading on Britain and Ireland, from the First Crusade to the end of the thirteenth century. Hurlock examines the relationship between high medieval British society and crusading, exploring key areas such as the political use of crusades, the papacy’s choice of crusaders, and the role of the military orders. The twelfth century saw a wide-ranging transformation of the Irish church, a regional manifestation of a wider pan-European reform movement. This book, the first to offer a full account of this change, moves away from the previous concentration on the restructuring of Irish dioceses and episcopal authority, and the introduction of Continental monastic observances, to widen the discussion. It charts changes in the religious culture experienced by the laity as well as the clergy and takes account of the particular Irish experience within the wider European context. The universal ideals that were defined with increasing clarity by Continental advocates of reform generated a series of initiatives from Irish churchmen aimed at disseminating reform ideology within clerical circles and transmitting it also to lay society, even if, as elsewhere, it often proved difficult to implement in practice. Whatever the obstacles faced by reformist clergy, their genuine concern to transform the Irish church and society cannot be doubted, and is attested in a range of hitherto unexploited sources this volume draws upon. Marie Therese Flanagan is Professor of Medieval History at the Queen’s University of Belfast. The latest title in the much-loved Element Encyclopedia series, The Element Encyclopedia of Celts explores the history, culture, and mythology of these great peoples. A comprehensive guide of Celtic history and culture, The Element Encyclopedia of the Celts tells the stories of these grand peoples and their way of life, including their heroic gods and goddesses, incredible myths and legends, and their everyday lives through their language, customs, and society. 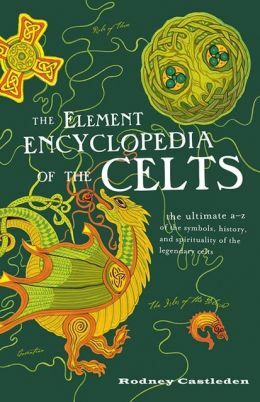 Encompassing their iron-age beginnings, European colonization, the various strands of ‘Celticness’ (race, politics, and culture), as well as the Celtic Tiger of today, this encyclopedia gets to the very heart of Celtic origin and meaning, as well as delving into the cultural and mythical background that draws so many to claim their Celtic roots today. Including: * The Celtic People and Their Way of Life * Celtic Places * Celtic Religion * Myths, Legends, and Stories * Symbols, Ideas, and Archetypes * Celtic Twilight and Revival Accompanied by illustrations and maps, which show the spread of Celts across the globe, as well as the symbols of Celtic mythology and religion.